Thickened drill bits made of zinc alloy material are corrosion resistant and very easy to clean after use. The bottle opener is integrated and designed with reasonable design and non-slip. This mirror-polished bottle opener is aesthetically pleasing and efficient. 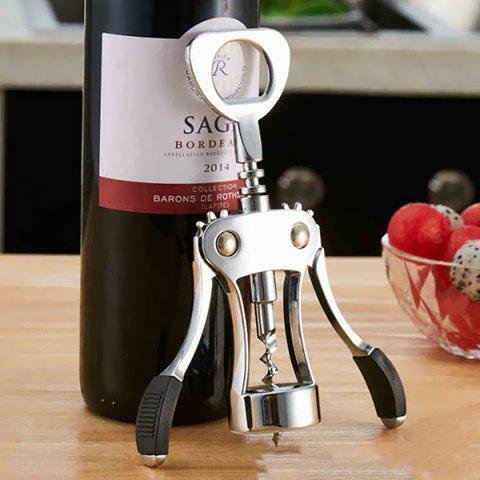 The ergonomic handle makes it easy to open wine and beer. With this bottle opener, you can easily and quickly remove any size cork. Our bottle opener has a dual function that makes it easy to open beer and red wine.